A romantic gondola ride is one way to start an impressive date. (SPOT.ph) Google “dating tips” and you'll get hundreds of guides that suggest over-the-top scenarios—because, according to several Internet "experts," showing true love requires you to be extravagant. Then again, it's not always about the expensive jewelry and out-of-the-country trips (sometimes it might be, but not all the time!). Even small gestures—like, say, going to the mall—when done right, will allow your partner to see your sincerity. So don't belittle mall dates just yet. One might say that these are more for teens, but you can make it more "mature" and pack a whole lot of feels in it. Sometimes, it's just about picking the right mall. Find a piece of Italy without having to leave the country. 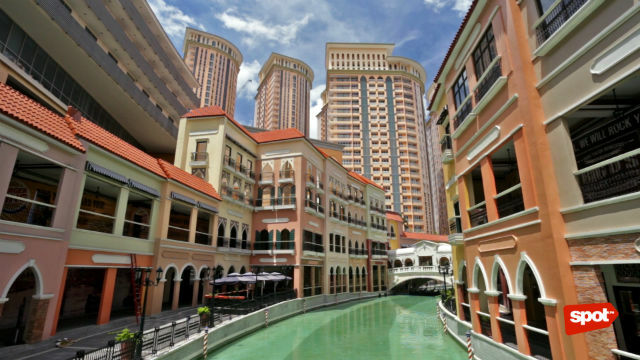 If you don't already know, Venice Grand Canal in McKinley Hill offers patrons a slice of Italy, right in the heart of the city. Stroll around with your partner and enjoy Instagram-worthy architecture and a wide range of restaurants stylized to look authentically Italian. Put 'go for a ride in a gondola' on top of your to-do list. The Venice Grand Canal is also the only mall where you and your date can take a ride in an authentic gondola while taking in the sights surrounding the man-made Grand Canal. What's special about this is that as soon as you take your seat, prepare to be serenaded by your gondoliers. That's sure to spark the amore! Catch a short performance of Romeo and Juliet on weekends. And to inspire you and your lover to keep the flame burning strong, you can catch short, free performances based on the story of one of the most famous couples in literature, Romeo and Juliet, when you visit the Venice Grand Canal during weekends. Scenes from the beloved play are performed within the Piazza, breathing life to Shakespeare’s characters. 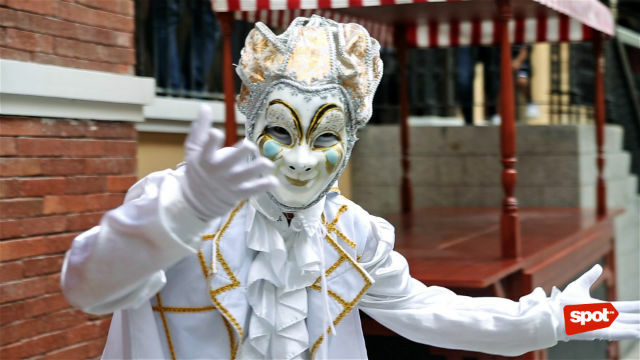 Take photos with mimes dressed as Venetian characters. At Venice Grand Canal, you can also come face-to-face with colourful Venetian characters who replicate Carnevale di Venezia participants. Complete with elaborate masks and costumes, these mimes are more than ready to take a selfie with you. Add a love lock to the Ponte de Amore bridge. Or why not profess your love and add some theatrics to it? 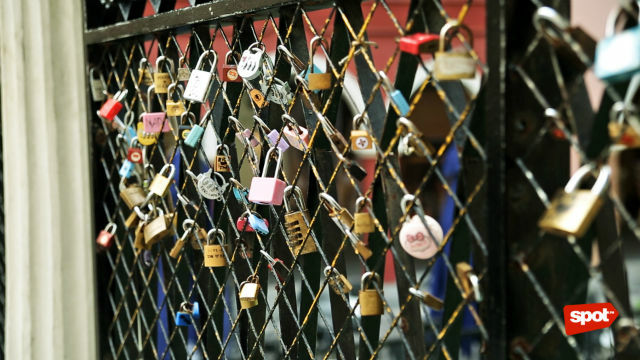 Go to Ponte de Amore and lock your love like what the lovers did in Federico Moccia’s novel ‘I Want You’ did. Write your names on the padlock and swear your undying love to one another. The following year, vist the place, find your "love lock," and reminisce about that special day. For a picture-perfect dinner date complete with a view of the Grand Canal, reserve a table at Ponte Rialto Ristorante Italiano. Its diverse menu offers a variety of authentic dishes from different parts of the Italian peninsula. 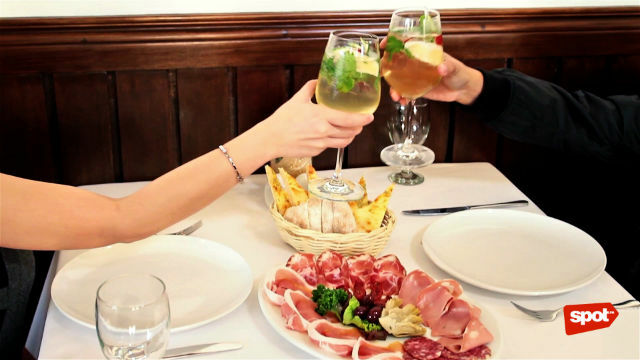 From appetisers down to their wine selection, you’ll feel as though you’re inside an Italian bistro. Going to the mall is almost never complete without going to the cinema. But, at the Venice Grand Canal, you don’t just go for the movie. Marvel at the murals, the stained glass dome ceiling, and the Venetian-inspired interiors which decorate the Ultra Cinema. 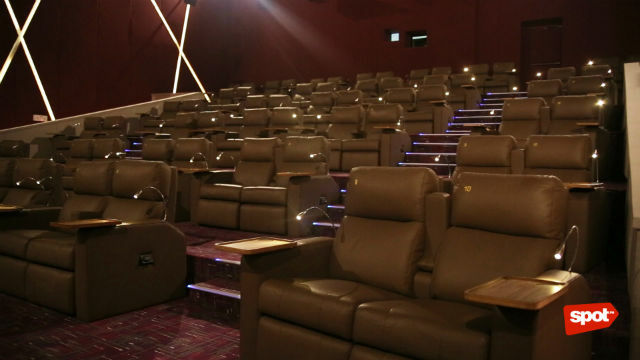 The theater is great for dates because of its two-seater setup with refillable popcorn. At Venice Grand Canal, Italy is within arm’s reach. For more information about the Venice Grand Canal, click here.